Shyam Patel | OK Listen! 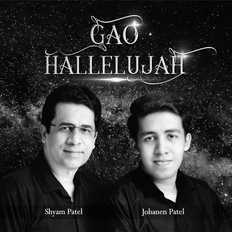 Shyam Patel is a Christian Gospel musician based in Mumbai, India, who is a song-writer, music composer and singer. He has been writing contemporary Christian worship songs for over decade. Johanen Patel is a keyboard player and started playing in the church choir at an early age of 11years. He is a music programmer as well as a music arranger. The Father-Son duo believe that worship music helps us to draw closer to God and anointed gospel songs usher the presence of God in our lives and circumstances. The mission of this band is to help people praise & worship God and draw closer to him.